Home > Blog > Outdoor Fire Brochure Now Available! Outdoor Fire Brochure Now Available! 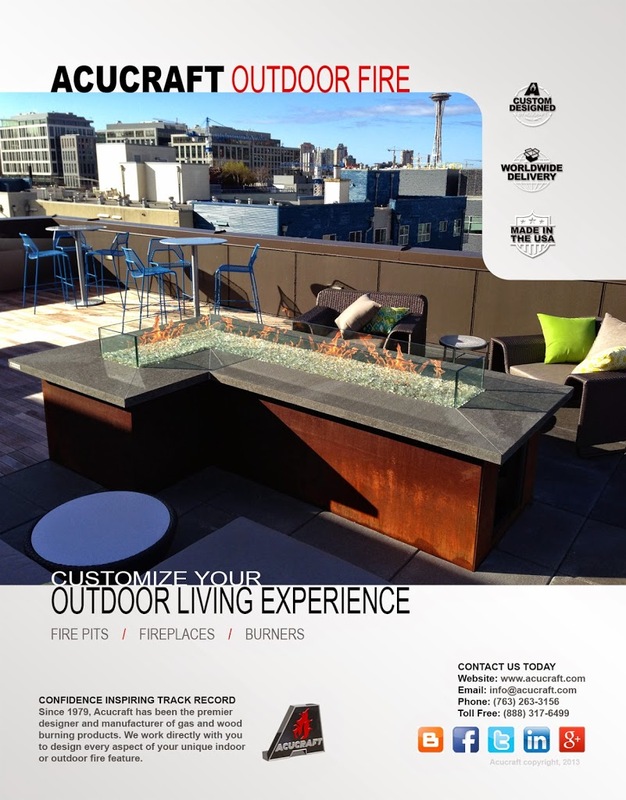 Acucraft has been designing and manufacturing custom outdoor fire features for 10 years. Our outdoor fire pits, fireplaces, and burners are custom designed, easy to install and can be free standing, making them perfect for outdoor spaces. Our fire brochure is a great resource for architects, designers, contractors, and homeowners. Not only does the brochure show many finished fire features, but the entire design process is described and shown in detail. If you would like to learn more about Acucraft Outdoor Fire, give us a call or visit the new outdoor fire page on our website. Finished photos of many outdoor fire features. Showing you the process we go through while designing each fireplace.